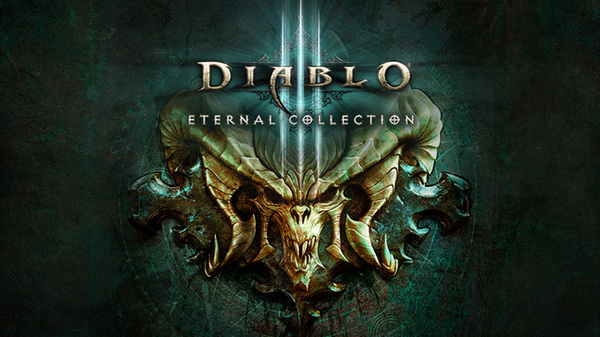 Obtain the Diablo Eternal Collection 🔥 on Nintendo Switch for up to 33% off! 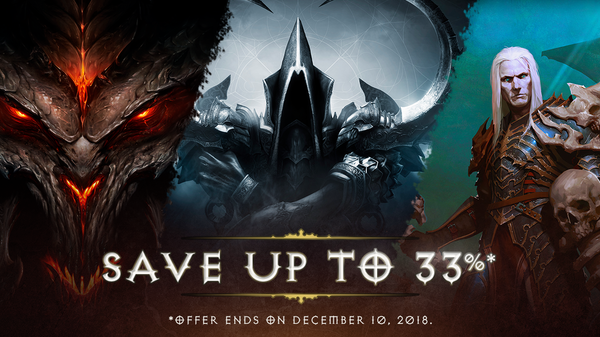 Nab this deal before the Treasure Goblins haul it back into the Vault. 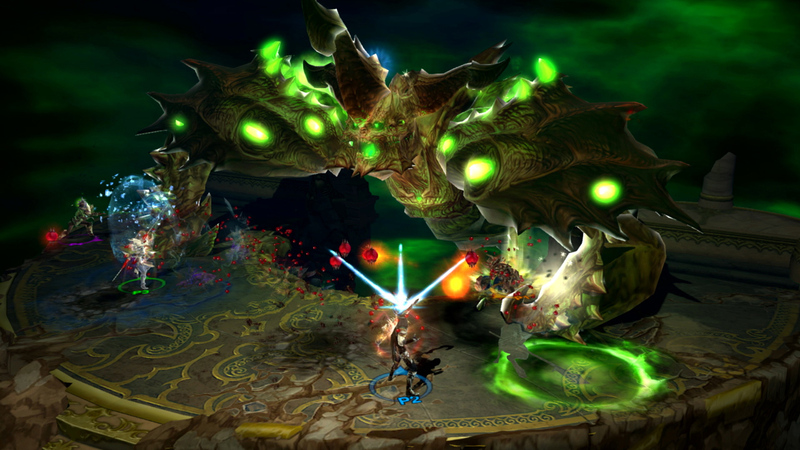 If you were holding out on grabbing Diablo III: Eternal Collection on Switch, now might be the time to jump in. Getting up to 33% off is no joke, and this deal only lasts until Dec. 10th, 2018! Good news, Blizzard fans! Blizzard has updated their Account Management page, and it now lets you link your Nintendo Account to your Blizzard Account. Bad news...it doesn't seem to do anything as of right now. Hopefully we have some incentive for linking these accounts in the near future. Here's everything that comes in the box with the Diablo 3 special edition Nintendo switch. 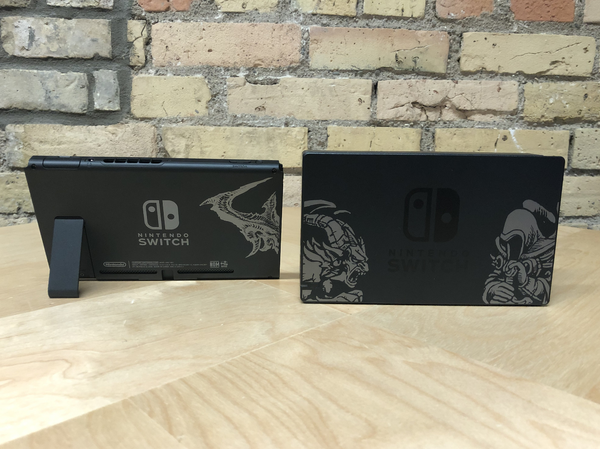 Still haven't seen enough pics of the Diablo III: Eternal Edition Switch bundle? Game Informer has shared a gallery of photos from their unboxing. You can check out all the pretty pics here. Ages ago, angels and demons birthed your world in a forbidden union. Now they've come to claim it. Stand tall among Sanctuary's meek and wicked to battle walking corpses, horrifying cultists, fallen seraphs, and the Lords of Hell. Discover pieces of Zelda’s world in Sanctuary. The Eternal Collection on Switch™ includes the Cucco companion pet, a Triforce portrait frame, and an exclusive transmogrification set that will let your heroes sport Ganondorf's iconic armor. You’ll also receive unique cosmetic wings. Diablo III’s power-building system is flexible enough for an afternoon or a full season. Push back the Burning Hells with spears, storms, and zombie dogs—over 800 unique abilities to unlock and master. Jump into local, action-RPG multiplayer with up to three friends, and crush demons from your comfiest couch cushions, no internet required—or fill out the ranks of your party online*. 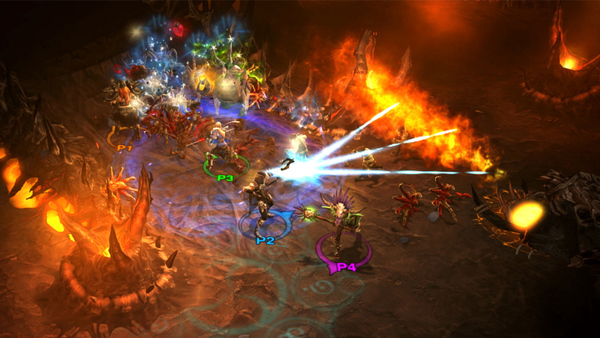 You can play Diablo III shared-screen on a single Nintendo Switch™, remotely on up to four Nintendo Switch ™ consoles, or combine TV and handheld play. Diablo III: Eternal Collection is available now on Nintendo Switch as well as the Nintendo Switch Diablo III Limited Edition! 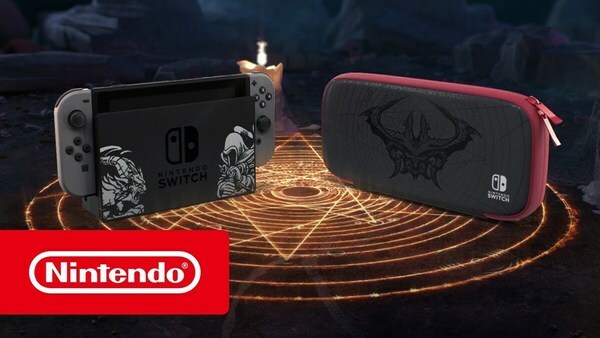 The Nintendo Switch Diablo III Limited Edition includes a Nintendo Switch console and dock featuring Diablo III artwork, a download code for Diablo III: Eternal Collection, and a themed carrying case. 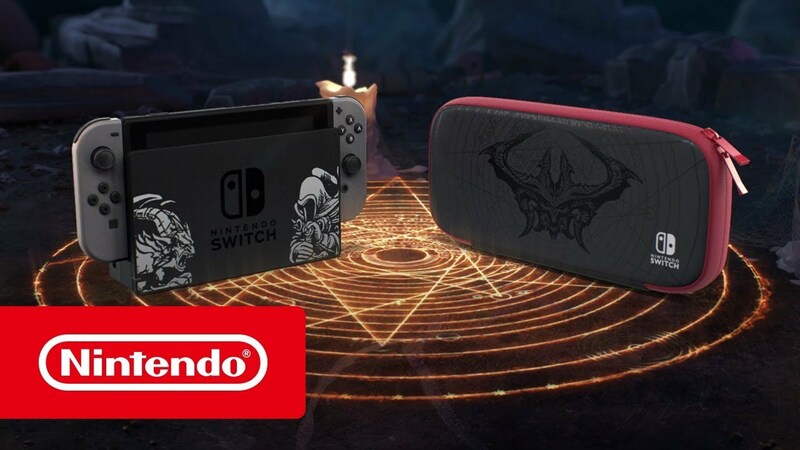 Want to be in with a chance of winning a Nintendo Switch Diablo III Limited Edition? We’re running a contest on Twitter! To enter, simply head to the contest tweet and reply letting us know where you’d play the game while out of home! One winner will be drawn at random from all the entries received by 23:59 GMT on Sunday 11th November. Well there you have it, all the rumors were true. Blizzard is going to release a special Loot Goblin amiibo sometime this December. When more details are shared, we'll be sure to bring them to you! UPDATE - This amiibo will be a GameStop-exclusive in the states. 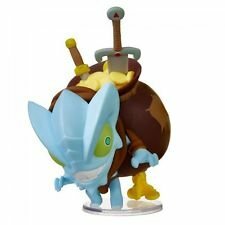 Also, it appears that this amiibo is just a slight redesign of a Treasure Goblin figurine that Blizzard released awhile back. You can check out that original figurine below.